Whether you have a Shadow or VTX, Radiantz has the Honda motorcycle lights you want. 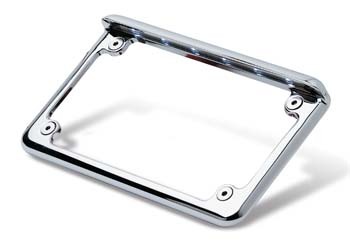 Windshield accents, license plate frames and more are all in stock. We're proud to manufacture and sell Honda motorcycle LED turn signals to the public. Every detail is painstakingly examined so that you end up with a high-quality product. Honda motorcycle driving lights are meant to be stylish, attract attention and keep you safe on the road. Explore several designs of Honda motorcycle LED taillights. The shapes vary based on your bike's model. With your front-end and taillights taken care of, branch out with accents that include Honda motorcycle LED lights, such as bright dots along the gas tank or light strips highlighting the metal's edges. Radiantz only sells the brightest lights in the industry today. Browse through our inventory for the best quality in LED technology since 1999.